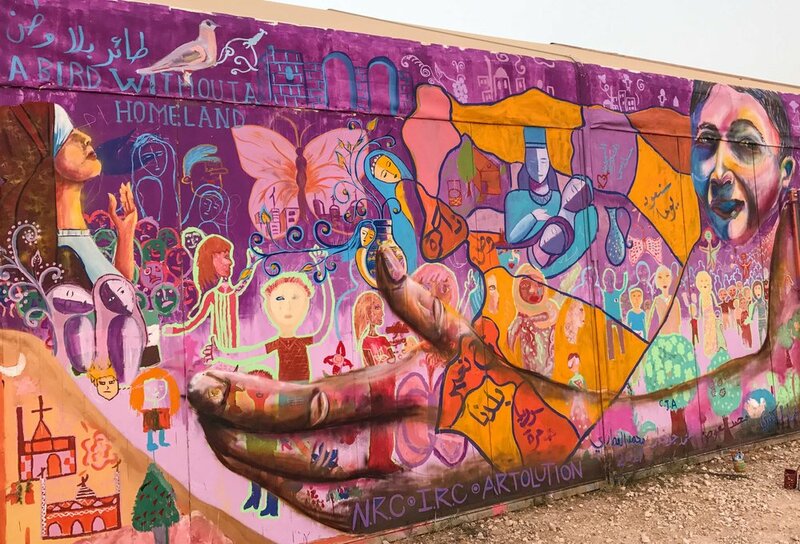 According to the UN, there are now over 65 million forcibly displaced people on our planet - more than at any time on record. 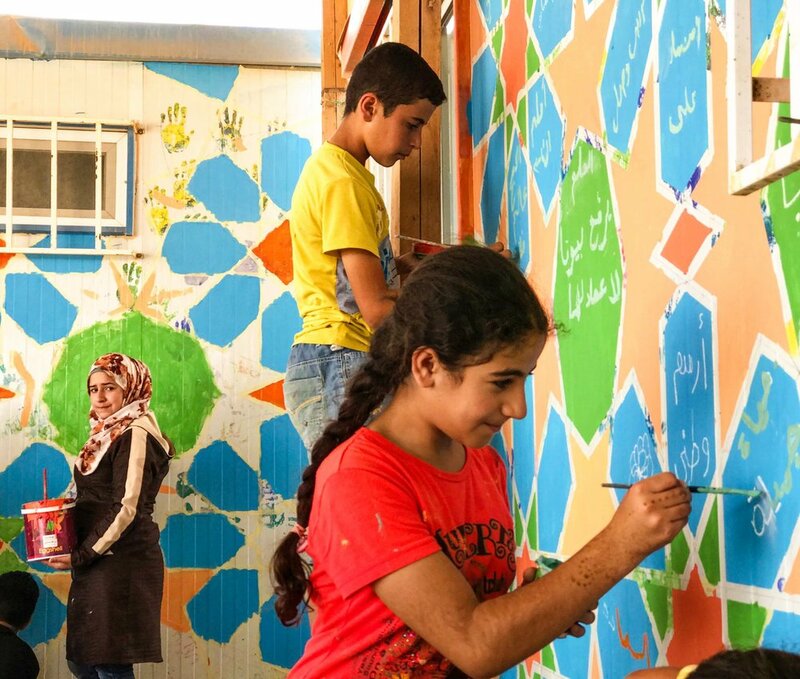 While international organizations provide housing, medical care and food for desperate citizens escaping conflict zones, there are other serious issues that often get ignored. 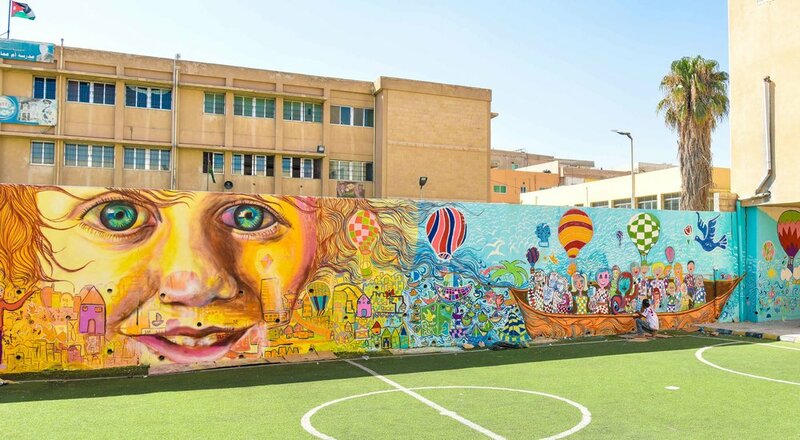 Young people have few educational or creative activities to focus on, families suffer from conflict-related trauma, and sectarian tensions flare up, leading to violence. 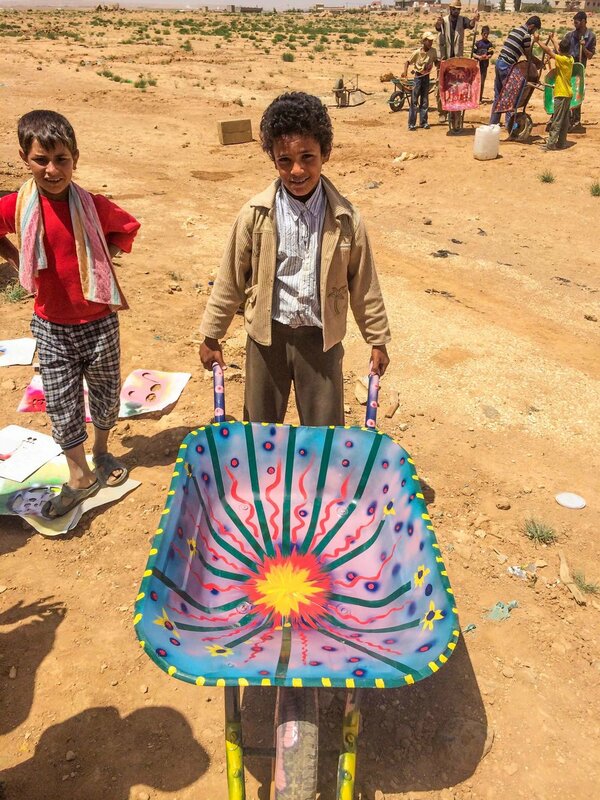 The need for creative programs that promote healing for children and displaced communities has never been greater. 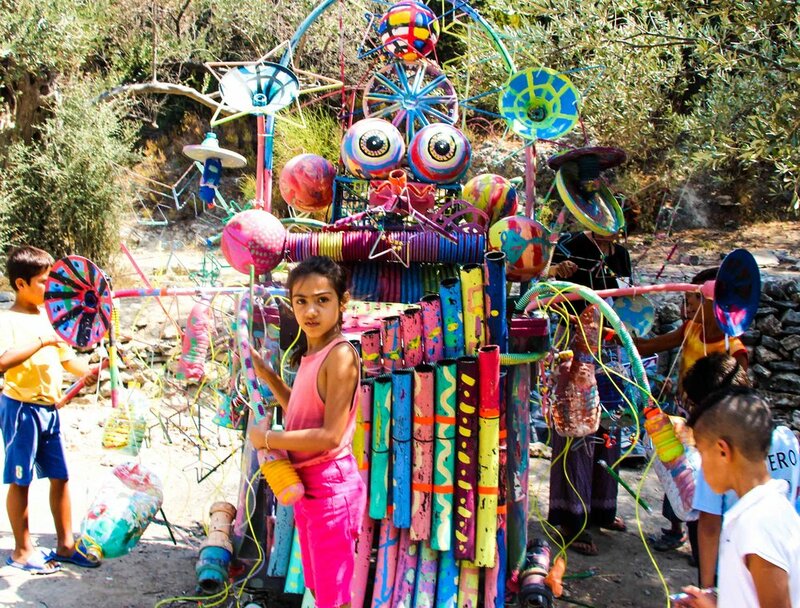 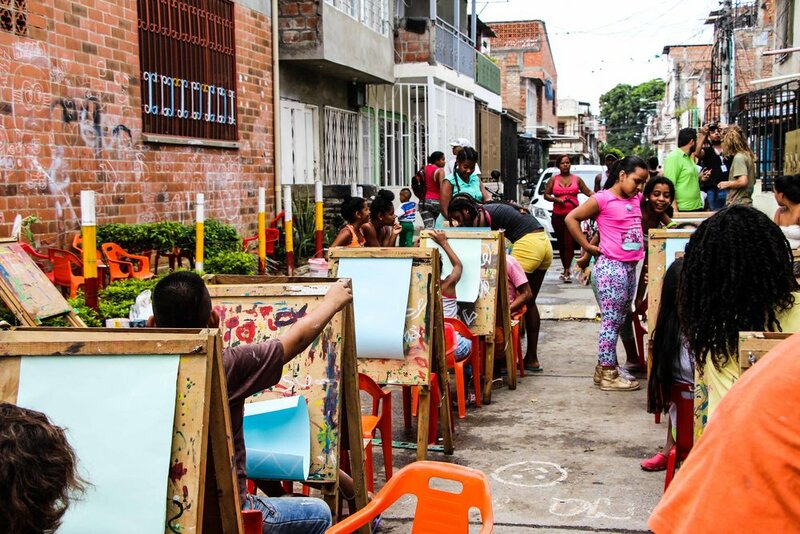 To address these critical problems, Artolution’s teaching artists facilitate community-based public art programming with displaced youth in partnership with local artists, educators and humanitarian organizations. 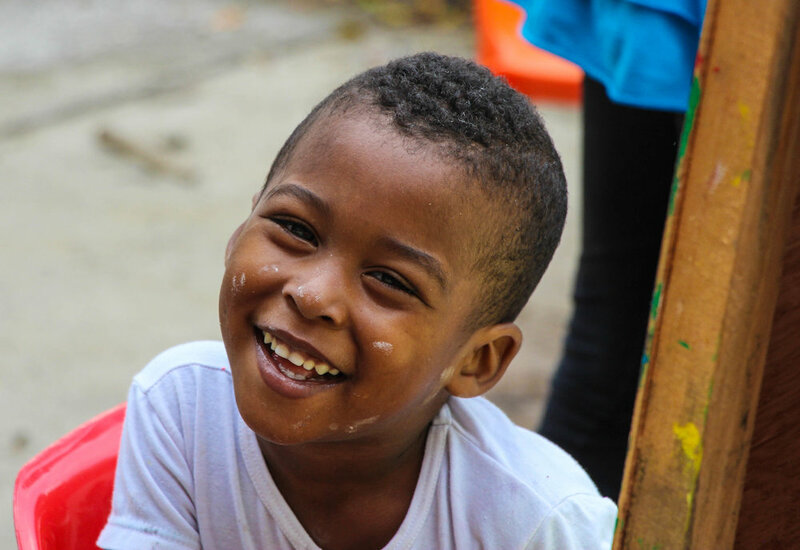 These programs provide a platform for young people to creatively explore their experiences while connecting with positive adult role models in their community, an important step in the healing process. 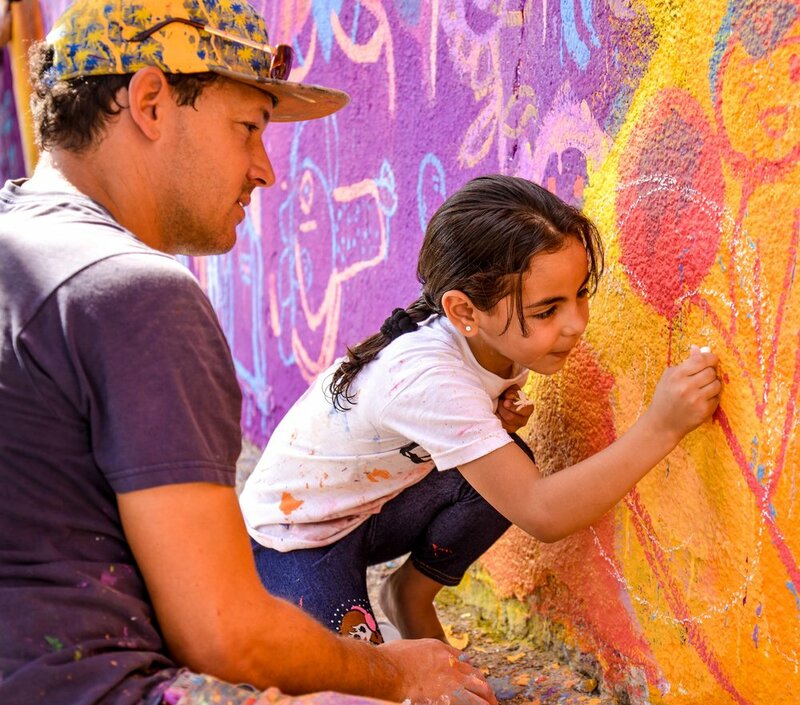 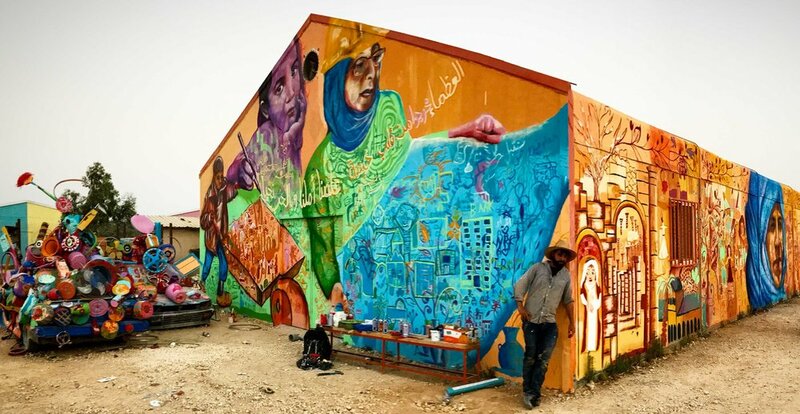 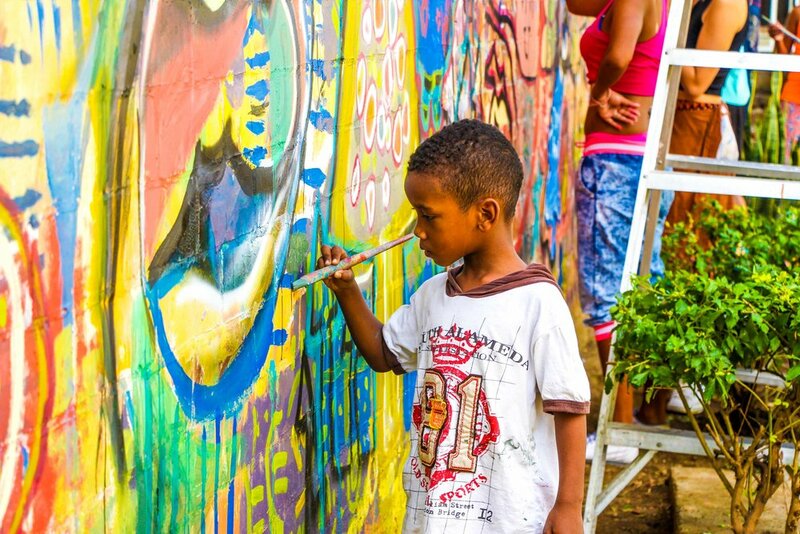 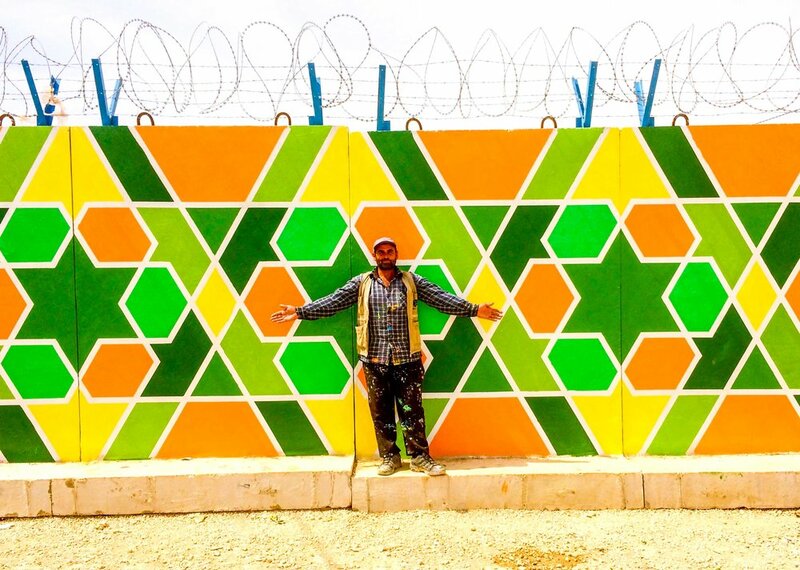 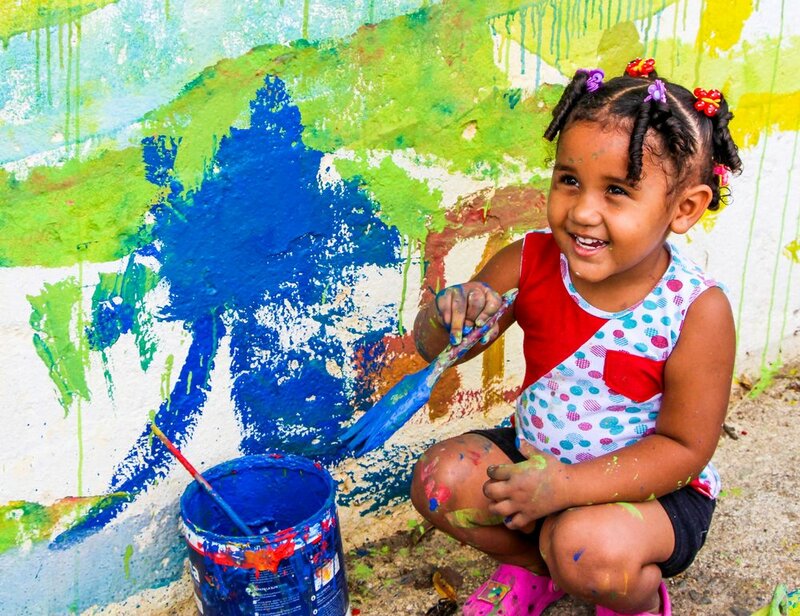 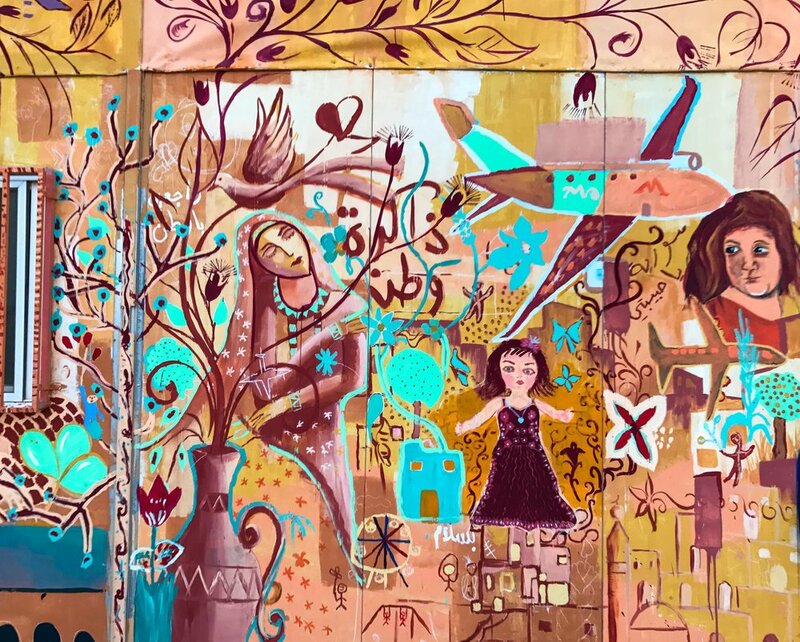 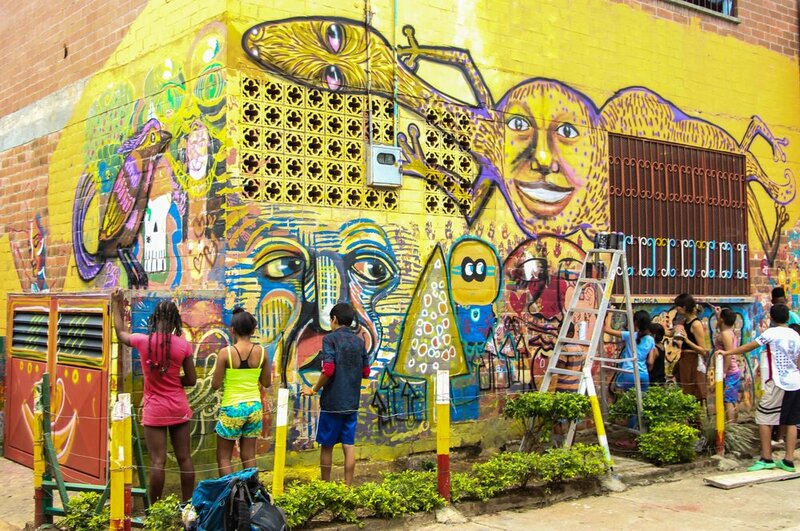 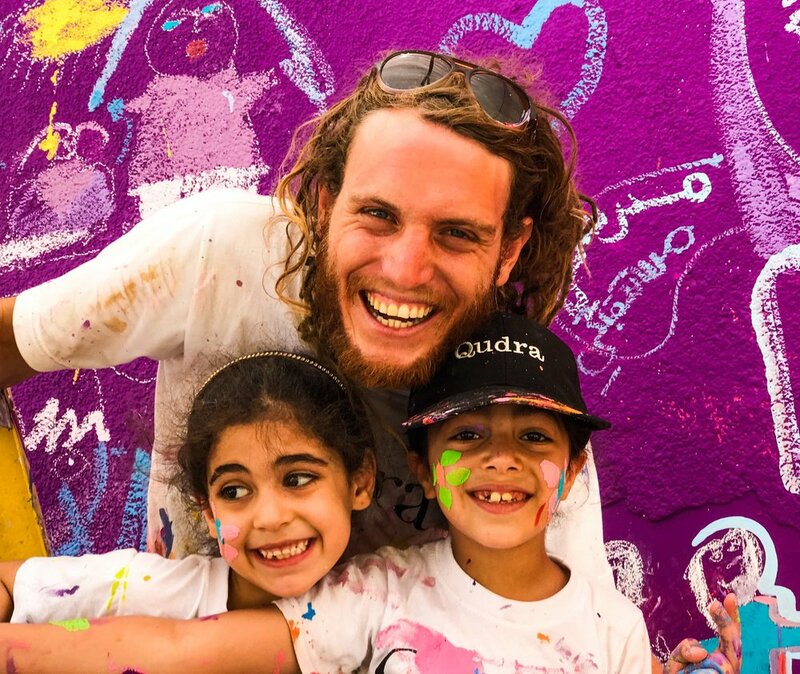 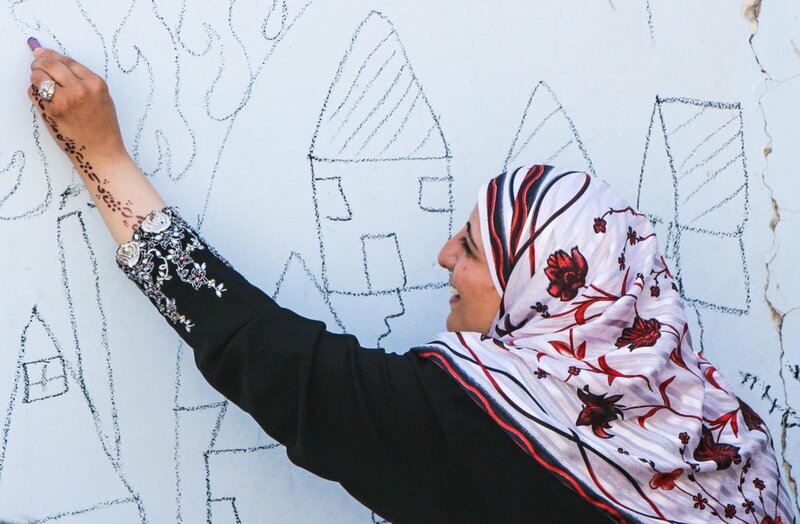 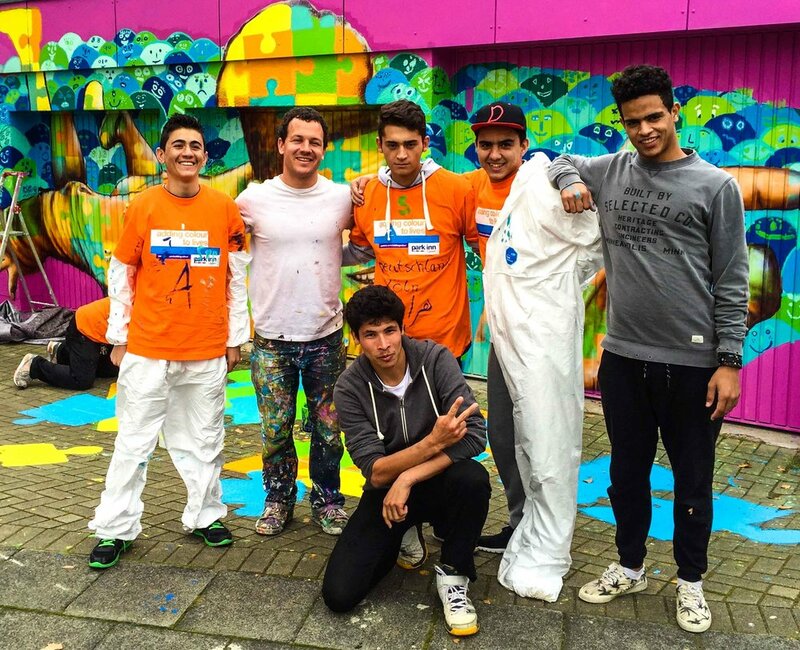 Through Artolution initiatives, young people have the opportunity to make a contribution to their communities, creating colorful, uplifting murals with messages of hope in some of the bleakest environments on earth. 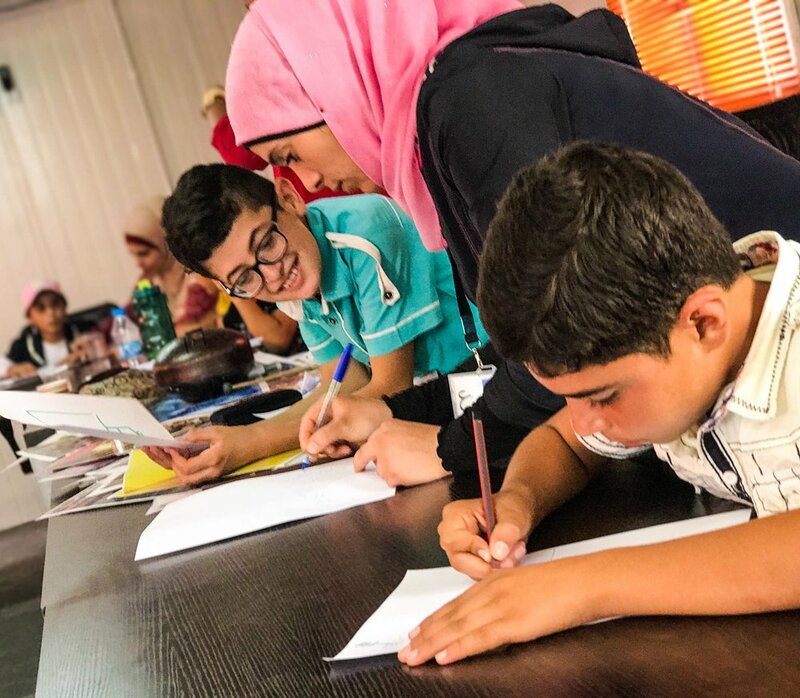 Our workshops focus on promoting reconciliation among rival groups, discussions of the participants’ goals for their future, and creating forums in which young people can open up about their painful experiences. 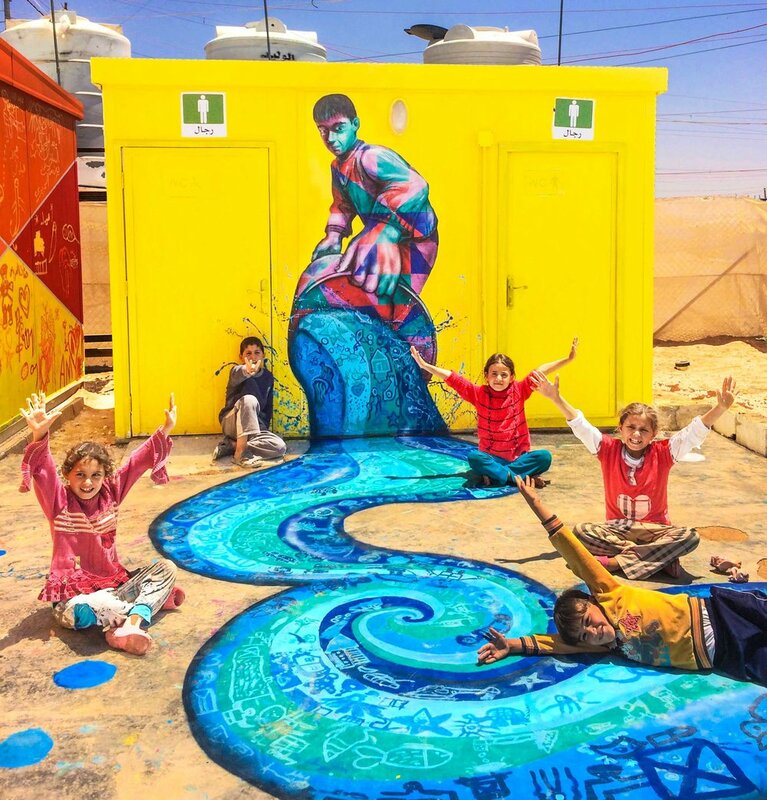 Since 2013, Artolution has facilitated projects with Syrian youth in refugee camps and host cities in Jordan; internally displaced communities in Colombia; Palestinian refugee camps as well as with refugees across Europe - including in Calais, France and Samos, Greece. 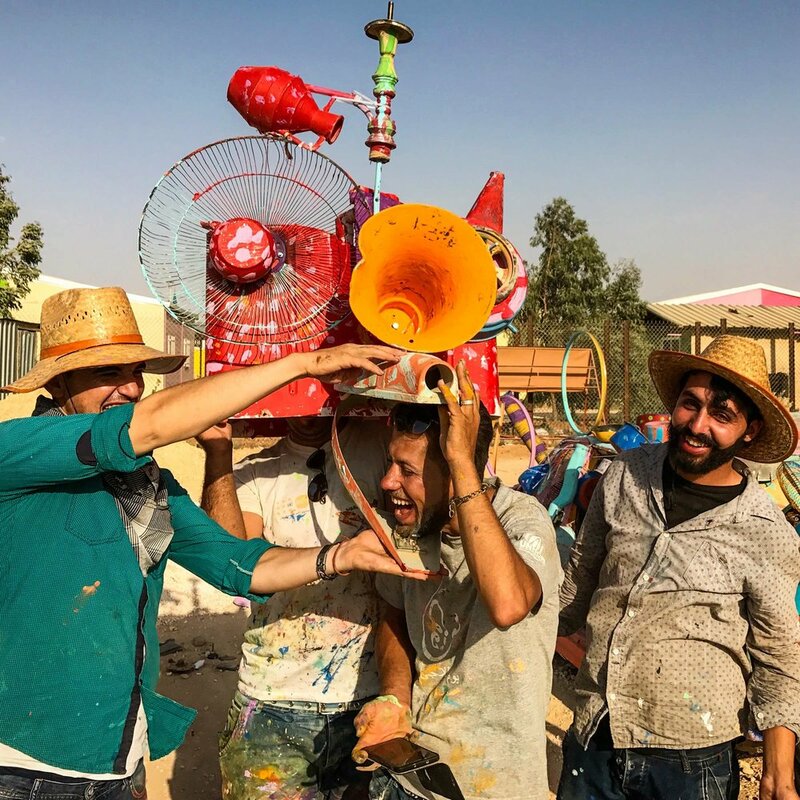 We are currently working toward our goal of establishing long-term, sustainable programming led by refugee artists and educators in the communities in which we’ve been active. 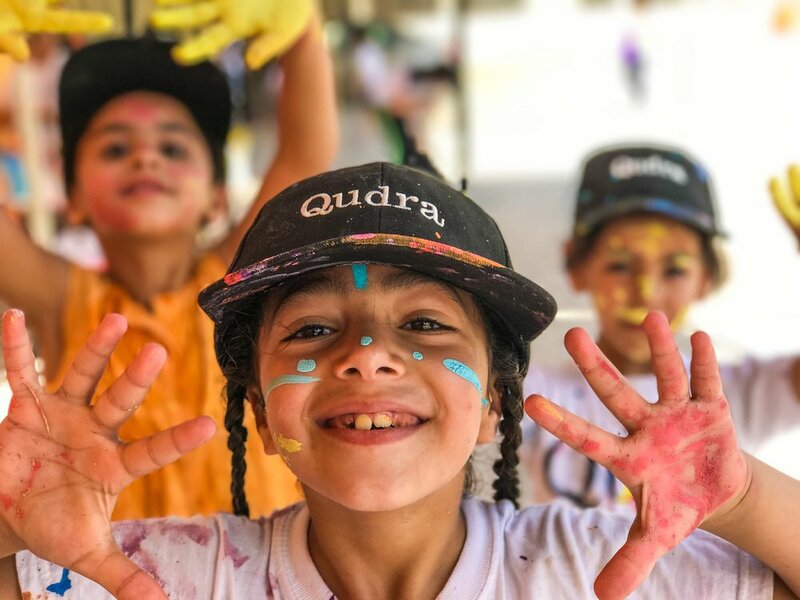 Thanks to our partners who have made this work possible: the IRC, GIZ, NRC, UNHCR, aptART, Mercy Corps, Park Inn by Radisson, The UN Girls Secondary Schools in the Qalandia and Al Amari Refugee Camps, ACTED and UNICEF.